A lot of people have been waiting for this film for a very, very long time, and was it worth the wait? Well, in a word, probably not. 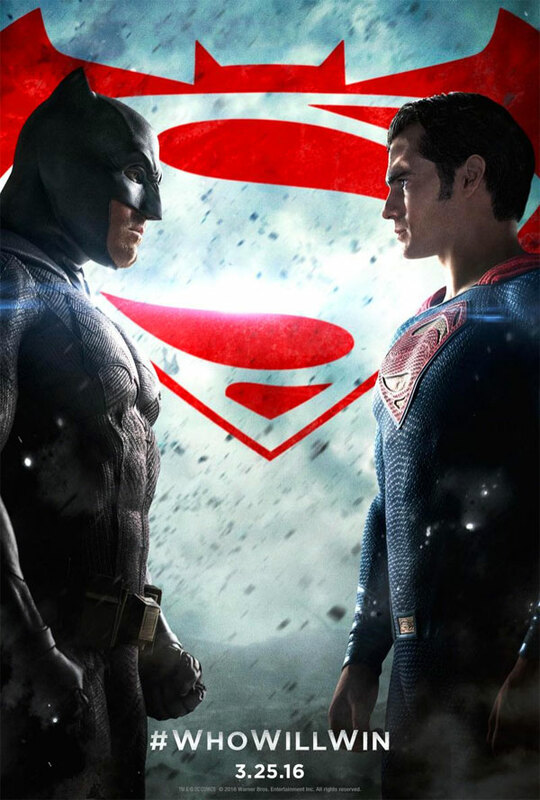 The basic plot for this movie is that Batman (played by Ben Affleck) and Superman (played by Henry Cavill) are not best mates, in fact they absolutely hate each other. Throw in Wonder Woman (played by Gal Gadot) and Lex Luthor (played by Jesse Eisenberg) and you have a rather confusing story, which is rather dark, loud, brash, clumsy and heavy. Amy Adams (off of American Hustle and Enchanted) plays a wonderful Lois Lane again, with some touching and humorous moments, while the overall plot involves lots of action, with Batman and Superman having a number of epic fights. Things are all looking very grim in Gotham City and Metropolis, and these two superheroes constantly fighting doesn't seem to be helping matters at all. I liked this Superman line in particular: 'Next time they shine your light in the sky, don't go to it. The bat is dead'. The critics have not really been very kind to this film, although in fairness, it's honestly not that bad, and if you are able to overlook all of the darkness, the constant rain and the often somewhat awkward dialogue, you may well really enjoy it. There are twists and turns galore, and whatever you think, the ending is nothing short of spectacular. Nili Rating: 3 out of 5 - This was an OK superhero film, but it could have been better considering its huge budget. Nevertheless, if you are either a massive Superman or a Batman (the 'Caped Crusader') fan, then you will probably be able to look through the clunky plot line and enjoy it more than I did.